Six Flags Great Adventure and Star 99.1 team up again to present Celebration 2014 with Tenth Avenue North and Jamie Grace live in concert at 7 p.m. in the Plymouth Rock Assurance® Arena. 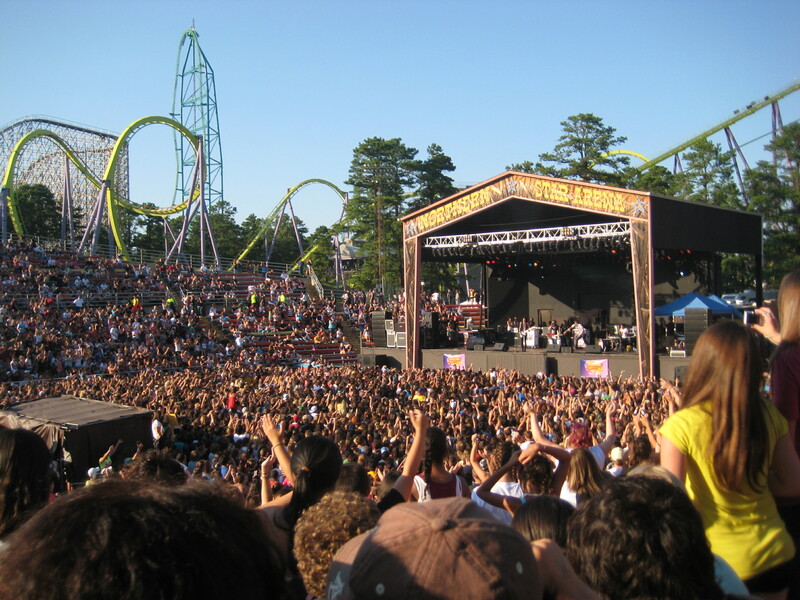 The concert is part of the MIKE AND IKE® ZOURS® Six Flags Summer Concert Series and is included with theme park admission or a Season Pass. Six Flags will celebrate its 30th Annual Deaf and Hard of Hearing Awareness Day June 7. For three decades, the New Jersey Division of Deaf and Hard of Hearing has invited guests to see a different side of communication with interpreters throughout the park, learn about hearing loss and the services the division has to offer. Come join Six Flags Great Adventure as it paints the park pink, green and blue in the Komen Kolor 5K run to benefit Susan G. Komen Central and South Jersey. Participants can register as an individual or as a team, and spectator tickets and discounts for Season Pass holders are also available. Tickets include admission to the theme park. Six Flags Great Adventure and WLIB team up to present Praise in the Park featuring Grammy Award-winner Fred Hammond in concert with special guest Hezekiah Walker. The concert takes place at 6 p.m. in the Plymouth Rock Assurance® Arena and is free with theme park admission or Season Pass. Groups can download an order form to purchase discounted tickets and an all-you-can-eat lunch. Lunch is served from 12 to 2 p.m. in the Picnic Grove and includes chicken tenders, hamburgers, pasta salad, garden salad and more.